Bruce was elected the 42nd governor of Illinois on Tuesday, November 4, 2014. His goal as governor is to create a more prosperous state, where everyone has an opportunity to succeed. To do that, Bruce will remain focused on delivering value for taxpayers, creating a pro-jobs economic climate, ensuring world-class schools and educational options for every Illinoisan and bringing term limits and greater accountability to state government. Bruce was born in Illinois and is a self-made businessman who had no inheritance or family wealth. A dedicated and good student, Bruce worked while he attended Dartmouth College, where he graduated with top honors, and then earned an M.B.A. from Harvard. Returning to Illinois in 1981, Bruce began working at then startup investment company Golder, Thoma, Cressey (later GTCR). As one of its earliest partners, Bruce helped build the firm into one of the most successful and respected businesses in Illinois. In fact, GTCR has been trusted for decades to oversee the retirement investments of first responders, teachers and other Illinois workers and has created tremendous returns for them – far surpassing the stock market’s performance – while providing exceptional value for taxpayers. Bruce has reinvested much of his success into the state he loves through supporting education, the YMCA, local hospitals and community organizations. His greatest passion is education. He and his wife, Diana, have devoted a tremendous amount of their personal time and resources to improving education throughout the state. Bruce has never let his success change him. He still drives a 20-year-old camper van, wears an $18 watch, and stays in the cheapest hotel room he can find when he’s on the road. He is the proud father of six children – two boys and four girls – and Diana is the love of his life. He hunts birds, hikes, loves riding his Harley, and jumps at every opportunity to fish. He is excited to get to work and begin serving all the people of Illinois. As protesters shouted “budget first” outside the Illinois House chamber, Gov. 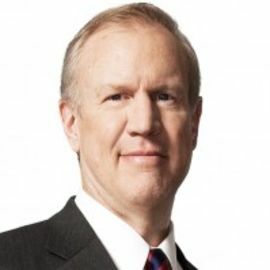 Bruce Rauner on Wednesday promised big changes to the state’s education funding formula and its criminal justice system, all while minimally mentioning the budget impasse.